ACREAGE PARCEL IN MIDDLETOWN! This level, unimproved acreage parcel is on a cul-de-sac street with little thoroughfare, yet boasts ease of access to Highway 175 for the commute to Santa Rosa & North Bay. In an area of estate-sized homes, this charming country parcel boasts scenic mountain and countryside views. 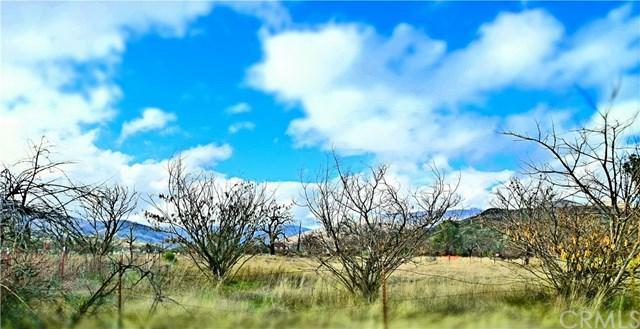 The fenced parcel is zoned SR with approximately an acre of level land to build your dream home with solar/wind power. Room for horses, farming, olives, 4-H/FFA and much more. Enjoy the privacy of this property but with the convenience of being only a few minutes away from the highway and the Middletown community. You're within walking distance of the Middletown Trailside Nature Preserve, a 107-acre preserve that features hiking, horseback riding, and bird watching. The prior structures were lost during the Valley Fire, refer to GIS map to see the approximate placement of those structures. Existing well, unknown conditions. Prior septic to be abandoned; city sewer now at the street. Acreage is south of the Hidden Valley Lake gated community and is on the south Lake County corridor with more than a dozen amenities in and around the 102-acre spring-fed reservoir lake, including an 18-hole championship golf course, marina, clubhouse, equestrian center, and beaches. Also near Clear Lake, the largest natural freshwater lake entirely within California. Take advantage of this opportunity and enjoy your custom home in a prime location for years to come! Improvements Prior Septic Needs To Be Abandoned Sewer At The Street. Existing Well Dug By Hand; City Water At Street.